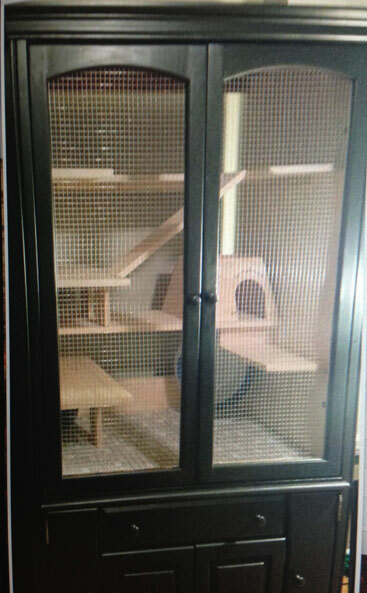 This page contains pictures of both pet and ranch style cages. 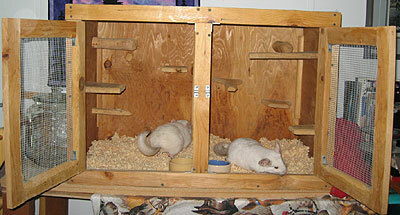 It is always recommended to provide your chinchilla with wood and other items to chew on to keep their teeth trimmed. Every year I see deaths from ingesting plastic and becoming impacted. Please remove all plastic from any cage you purchase. I forgot who's cages these are and I apologize. I love the theme though! 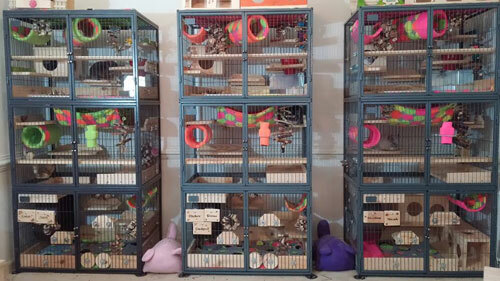 Very nice setup using a Critter Nation and custom houses/ledges and toys from Twilight Chinchillas. Here you can see they are using fleece and a litter pan (lower right side). 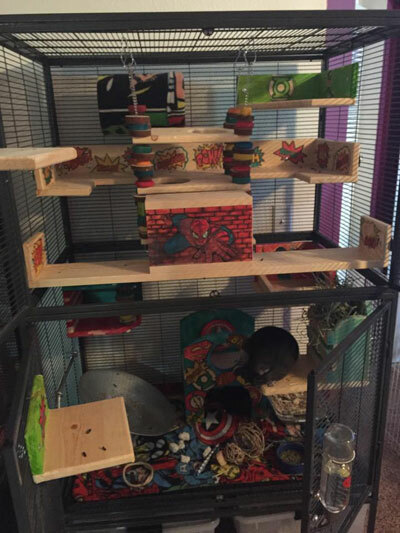 Showing a triple stack of an old two story Ferret Nation (bottom) and the new horizontal bar Ferret Nation (top). 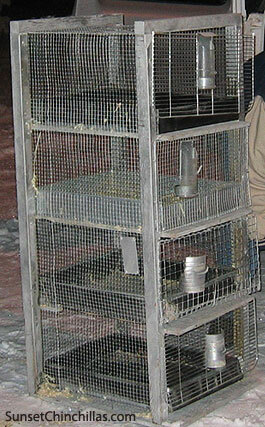 It is a good idea to skirt these cages with wood as seen in the picture. It keeps the litter and poops in. This owner has some amazing design and coordination skills. They are using fleece liners instead of litter. It is a good idea to include a litter pan too, but if you are ok washing a liner every day or two this is a great way to keep a clean cage. 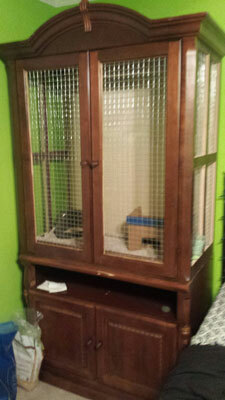 A cage one of my customers is making out of an armoire, it is turning out very nice! 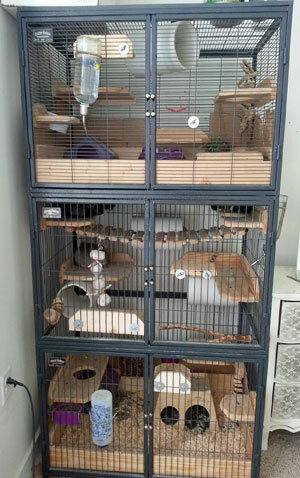 Another cage made out of a media cabinet. Hand made wooden pine cage. This style works fine for chinchillas, it keeps the shavings in better than the wire ones. This one can use some more shelves and toys/perches but the base design works. 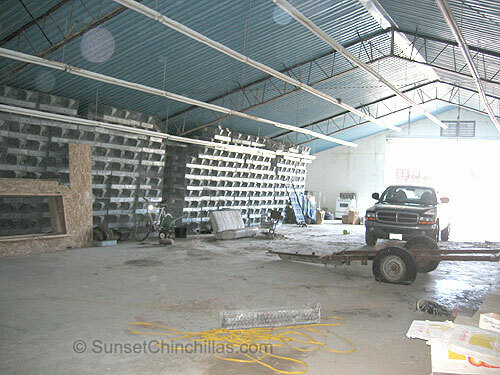 Leftover chinchilla cages from a 5,000 animal herd. There were two barns full of these stacked 8-10 deep up against the wall. There are over 1000 cages in this photo. Timers for the lights in one of the buildings, I've never seen so many controls in one place. Old style vertical run style cage. This one is more than 60 years old, they tend to get recycled from breeder to breeder. The run is diagonal up the other side.